This review originally ran in the Friday, September 21, 2012 issue of Shelf Awareness for Readers. If you don't already subscribe, sign up here to receive a bi-weekly dose of readerly goodness in your inbox. General Thomas-Alexandre Dumas, father of the famous French writer Alexandre Dumas, lived a life that sounds like fiction: the son of a white aristocrat and freed slave, he was sold into slavery by his father before being repurchased and freed in France to live the life of an aristocrat's son. From there, he joined the French Army, where his physical stature and military prowess launched him through the ranks under Napoleon--until he was captured and held prisoner in Sicily for more than two years. The Black Count recounts the life--and legacy--of this great man in extensive detail. Tom Reiss (The Orientalist) draws on over six years of primary research to tell Dumas's story. But the book is much more than a biography of a great French general. It's also a history of civil rights in France, an account of the French Revolution and a tale of Napoleon's rise to power. Woven throughout all of this historical detail is an ongoing analysis of Dumas's influence on his son's famous novels, particularly The Three Musketeers and The Count of Monte Cristo. 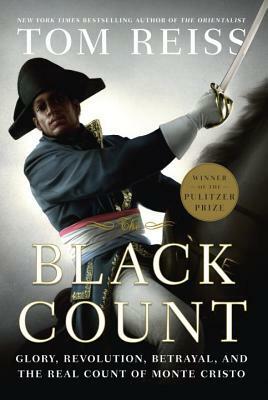 Though General Dumas is not commemorated with any statue in France today, he remains an important figure in French history and in literature; The Black Count merges the myth of the man contained in his son's novels with the facts of his life, resulting in an impeccable history that reads like a novel but packs the facts of a textbook. I've been interested with the history of France and their culture. In fact, I'm planning to get myself a property for sale in france that I can afford to maintain.